And if you had bright blooms to that cake? Well, that’s just the bees knees. Which brings me to today’s featured cake. How gorgeous is this confection? 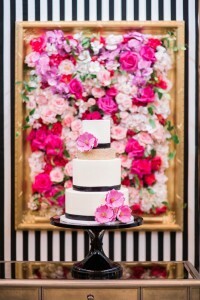 The white cake features bands of black ribbon and bright pink sugar flowers. And, it’s pretty much wedding cake perfection. This cake is ideal for a spring wedding! 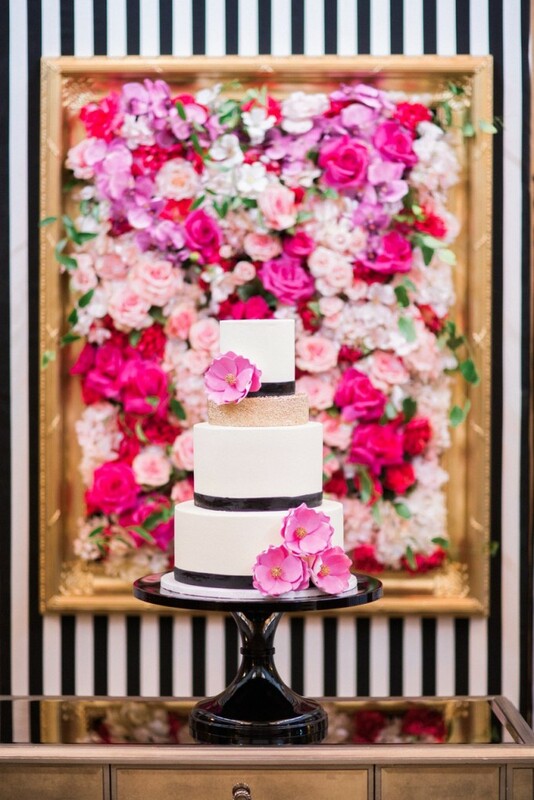 It has everything – bright (edible) flowers and the elegance of black and white! You can find this cake here. It was created by Sugar Bee Sweets Bakery.